Words and phrases can often convey different meanings depending on circumstances, application, location, and a number of other factors. The following glossary has been compiled In order to combat possible confusion as well as provide additional clarity to many of the concepts illustrated in the Criteria. Where possible, definitions were drawn or adapted from organizations or reference materials that relate directly to the most universally-recognized meaning of the word or concept. Accurate Free from error especially as the result of care; conforming exactly to truth or to a standard. Animal welfare Animal welfare means how an animal is coping with the conditions in which it lives. The universally recognized “Five Freedoms”, published in 1965, describe the right to welfare of animals under human control. According to this concept, an animal’s primary welfare needs can be met by providing: freedom from hunger, malnutrition and thirst; freedom from fear and distress; freedom from physical and thermal discomfort; freedom from pain, injury and disease; and freedom to express normal patterns of behaviour. Appropriate behavior Behaviour of any individual involved with a tourism business that is characterized by respect for the sociocultural and ecological fabric of a location. Archaeological artefacts Any object manufactured, used or modified by humans. Common examples include tools, utensils, art, food remains, and other products of human activity. Carbon Dioxide A greenhouse gas produced through respiration and the decomposition of organic substances. Combustion of fossil fuels is primarily responsible for increased atmospheric concentrations of this gas. Carbon Footprint The total amount of greenhouse gases produced to directly and indirectly support human activities, usually expressed in equivalent tons of carbon dioxide (CO2). Carbon Neutral Achieving net zero carbon emissions by balancing a measured amount of carbon released with an equivalent amount sequestered or offset, or buying enough carbon credits to make up the difference. Certification Voluntary, third party assessment, through an audit, of a tourism enterprise for conformity to a standard. Child Young human being, boy or girl; person who has not reached age of discretion. Climate Change Climate change refers to a statistically significant variation in either the mean state of the climate or in its variability, persisting for an extended period (typically decades or longer). Climate change may be due to natural internal processes or external forcings, or to persistent anthropogenic changes in the composition of the atmosphere or in land use. Community consent Often annotated as free, prior, and informed, consent, community consent indicates approval of any outside incursion or development into community lands or practices. Consent does not require unanimity among all of the members of a community. Rather, consent should be determined pursuant to customary law and practice, or in some other way agreed upon by the community. Compliance Conformity in fulfilling official requirements. Corrective Action Plan Corrective action provides that a problem has been recognized, corrected, and proper controls installed to make sure that it does not happen again. Crisis management The application of strategies designed to help an organization deal with a sudden and significant negative event. Cultural Of or relating to a particular group of people and their habits, beliefs, traditions, etc. Cultural artefact Any object manufactured, used or modified by humans that expresses the particular characteristic of a people or peoples, including way of life, spiritual beliefs, or a collective sense of history. Cultural heritage Cultural heritage is the legacy of physical artefacts and intangible attributes of a group or society that are inherited from past generations, maintained in the present and bestowed for the benefit of future generations. Culturally or historically sensitive sites Sites which, by reason of their cultural or historical significance, call for tact, care, or caution in their treatment. Customer satisfaction A measure of how products and services supplied by a company meet or surpass customer expectation. Decent work Decent work involves opportunities for work that is productive and delivers a fair income, security in the workplace and social protection for families, better prospects for personal development and social integration, freedom for people to express their concerns, organize and participate in the decisions that affect their lives and equality of opportunity and treatment for all women and men. Destination A destination is a geographical area consisting of all the services and infrastructure necessary for the stay of a specific tourist or tourism segment. Destinations are the competitive units of incoming tourism. Destination Management Organization Organization responsible for the implementation of strategic tourism policies, product development and co-ordinated management of all the elements that make up a destination (accommodation, attractions, access, marketing, human resources, image). The form and structure of a DMO can vary, depending on the context in which it operates. Environmental certification Means by which a product, process, business or service is publicly identified as having been certified or verified in compliance with an environmental standard. Environmental Impact Assessment Environmental Impact Assessment (EIA) is a tool used to identify the environmental, social and economic impacts of a project prior to decision-making. It aims to predict environmental impacts at an early stage in project planning and design, find ways and means to reduce adverse impacts, shape projects to suit the local environment and present the predictions and options to decision-makers. Environmentally sustainable A factor or practice is environmentally sustainable if it contributes to the quality of environment on a long-term basis. It is a rate at which renewable resource harvest, pollution creation, or non-renewable resource depletion can be continued indefinitely without damage to the environment. Fair trade Fair trade is based on dialogue, transparency and respect, seeking greater equity in international trade. It contributes to sustainable development by offering better trading conditions to, and securing the rights of, marginalized producers and workers – especially in the South. ‘Fairtrade’ or ‘Fair Trade’ standards comprise minimum social, economic and environmental requirements, which producers must meet to be certified. 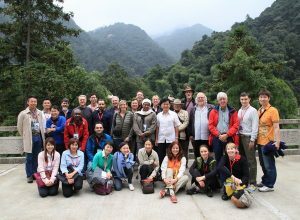 Global Sustainable Tourism Criteria The Global Sustainable Tourism Council (GSTC) Criteria serve as the global baseline standards for sustainability in travel and tourism. 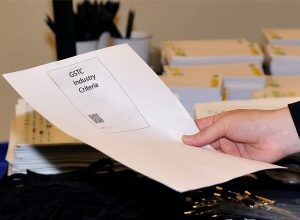 The GSTC Criteria are used for education and awareness-raising, policy-making and as a basis for certification. The Criteria are the minimum, not the maximum, which businesses, governments, and destinations should achieve to approach social, environmental, cultural, and economic sustainability. Habitat A terrestrial, freshwater, or marine geographical unit or airway that supports assemblages of living organisms and their interactions with the non-living environment. Harmful substances Chemical substances that could pose a threat to the environment and human health. High Biodiversity Value A concentration of biological diversity including endemic species, and rare, threatened or endangered species, that is significant at the global, regional or national level. Historical significance Significance is defined as the importance of a property to the history, architecture, archaeology, engineering, or culture of a community, a State, or the nation. Significance may be based on association with historical events; association with a significant person; distinctive physical characteristics of design, construction, or form; and potential to yield important information. Human rights Human rights are the basic rights and freedoms that all humans should be guaranteed. They are universal, apply equally to all, and are founded on the principle of dignity for every human being. They are elaborated in the thirty Articles of the Universal Declaration of Human Rights (1948). Impact The contribution of an action or intervention to an outcome or change in social, economic or environmental condition. The contribution may be intended or unintended, positive or negative, long-term or short-term. Indicator Quantitative or qualitative factor or variable that provides a simple and reliable means to measure achievement of outcomes, to reflect the changes connected to a standards system, or to help assess the performance of an organization. Infrastructure Construction needed to support the proper functioning or economic development of an area, including: roads, railway lines, harbours, airport runways, water, electricity, other power supplies, sewerage disposal systems and other utilities. Integrity The quality of being whole and complete. Ecological integrity is defined as the full potential of indigenous biotic and abiotic factors, and natural processes, functioning in sustainable communities, habitats, and landscapes. Intellectual property Intellectual property (IP) refers to creations of the mind, such as inventions; literary and artistic works; designs; and symbols, names and images used in commerce. IP is protected in law. Special considerations apply to indigenous and local communities concerning the protection, promotion and preservation of traditional knowledge, traditional cultural expressions and genetic resources. Invasive species Species which has been introduced to an environment where it is non-native, or alien, and whose introduction causes environmental or economic damage or harm to human health. Inventory An itemized list of current assets; a stock take of natural resources at a given point in time. IUCN Red List A compendium of information on the taxonomy, conservation status and distribution of plants, fungi and animal species that have been globally evaluated using the IUCN Red List Categories and Criteria. This system is designed to determine the relative risk of extinction, and the main purpose of the IUCN Red List is to catalogue and highlight those plants and animals that are facing a higher risk of global extinction. Labour rights Labour rights or workers’ rights are a group of legal rights and claimed human rights having to do with labour relations between workers and their employers, usually obtained under labour and employment law. Since 1919, the International Labour Organization has maintained and developed a system of international labour standards aimed at promoting opportunities for women and men to obtain decent and productive work, in conditions of freedom, equity, security and dignity. Licence Legal permission granted to an individual, business, or organization to do something. The licence confers a right which the person or firm did not previously possess and is a legal agreement which may contain restrictions as to how the licence is employed. Livelihood A livelihood comprises the capabilities, assets (including both material and social resources) and activities required for a means of living. Living wage The remuneration received for a standard work week by a worker in a particular place sufficient to afford a decent standard of living for the worker and her or his family. Elements of a decent standard of living including food, water, housing, education, health care, transport, clothing, and other essential needs including provision for unexpected events. Local The area of and immediately around the destination or location of business operations. The size of the area can vary depending on the physical geography and population density and distribution. Local community The collection of people living in the immediate area of a destination or tourism business and potentially affected socially, economically, or environmentally by its presence or operation. Local minorities A social group or category of people from within a specified area in relation to the destination or tourism business (see definition for “local”) who are different from the larger group in the country or area in some way. Often refers to groups that suffer from disparities of power or unequal treatment on the basis of that identity or to situations in which such groups are numerical minorities with respect to dominant cultural or ethnic majorities. Local residents Those living in the immediate area of a destination or tourism business and potentially affected socially, economically, or environmentally by its presence or operation. Management The organization and coordination of activities in order to achieve defined objectives. Management position A position within a business responsible for one or more of the following activities: planning, directing and overseeing the operations and fiscal health of a business or operating unit within an organization; overseeing and leading the work of a group of people; planning and maintaining work systems, procedures, and policies that enable and encourage the optimum performance of people and other resources. Native species Plants, animals, or other living organisms that are found, or are known to have been found, as part of local natural ecosystems. Natural area An area with a characteristic association of wildlife and natural features. Each natural area has a unique identity resulting from the interaction of wildlife, landforms, geology, land use and human impact. Offsetting Once GHG emissions have been calculated and reduced where possible, a number of schemes exist to offset what cannot be reduced, through the purchase of certified emission reductions. The offsets are credits for reductions in greenhouse gas emissions made at another location, such as a wind farm or a clean cook stove project, and each credit represents one ton of emissions avoided or captured. Pesticide Any substance or mixture of substances that is used to prevent, destroy or control unwanted pests — harmful insects, small animals, wild plants, and other unwanted organisms including vectors of human or animal disease. Pesticides are used because of their toxic properties towards target species but may also cause harm to non-target species. The mode of action which makes them effective pesticides also makes them hazardous to humans and / or the environment, often in subtle ways. It is important to understand associated risks and to limit use of these substances to necessary situations and limit potential damage to human health and the environment. Pollution Presence of matter (gas, liquid, solid) or energy (heat, noise, radiation) whose nature, location, or quantity directly or indirectly alters characteristics or processes of any part of the environment, and causes (or has the potential to cause) damage to the condition, health, safety, or welfare of animals, humans, plants, or property. Promotional materials Any sales promotional, marketing or advertising materials (including websites) produced or distributed by or on behalf of the tourism business in connection with its products or activities, or which otherwise make reference to or express or imply a connection with the tourism business. Protected Areas A clearly defined geographical space, recognized, dedicated and managed, through legal or other effective means, to achieve the long-term conservation of nature with associated ecosystem services and cultural values. Purchasing policy Documented system and procedures for acquiring goods and services, including rules and guidelines, sourcing policies, and favored or approved suppliers. Quality The degree of value or excellence of a product or service; can sometimes refer to a high level of value or excellence. Renewable energy Renewable energy is derived from natural processes that are replenished constantly. In its various forms, it derives directly or indirectly from the sun, or from heat generated deep within the earth. Included in the definition is energy generated from solar, wind, biomass, geothermal, hydropower and ocean resources, and biofuels and hydrogen derived from renewable resources. Restoration Restoration is the ecological process of restoring a site to a natural landscape and habitat, safe for humans, wildlife, and plant communities, following some form of ecological degradation or destruction. Risk management The identification, analysis, assessment, control, and avoidance, minimization, or elimination of unacceptable risks. Run-off Water flow over the ground surface to the drainage system or direct to watercourse. This occurs if the ground is impermeable, is saturated or if rainfall is particularly intense. Soil contaminants Soil contaminants are chemicals, nutrients or elements that are more than normally or naturally concentrated in the soil as a result of human action. Solvents, pesticides and petroleum products are localized contaminants found in a small geographic area, for example from a leaking fuel storage tank. Stakeholder Individual or group that has an interest in any decision or activity of an organization. Sustainability Management System A management system (set of interrelated elements) to establish a sustainability policy and objectives and processes to achieve those objectives. Sustainable Destination Strategy A sustainable destination strategy is a plan of action , based on stakeholder consultation and engagement, which sets out the agreed vision, objectives and direction for sustainable tourism in a destination and designed to be used as a basis for identifying destination management actions. Sustainable materials Sustainable materials provide environmental, social and economic benefits while protecting public health and environment over their whole life cycle, from the extraction of raw materials until the final disposal. Sustainable practices Sustainable practices are employed in order to eliminate negative environmental impacts in the design, construction, restoration or demolition of a building or structure. Examples include incorporating energy efficiency, minimizing the carbon footprint over the life cycle of a structure, making use of natural light and low impact materials and connecting users with the natural environment. Sustainable tourism Sustainable tourism takes full account of its current and future economic, social and environmental impacts, addressing the needs of visitors, the industry, the environment and host communities. 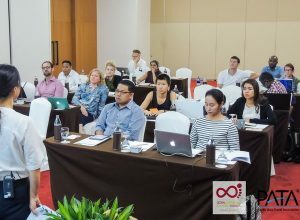 Sustainable tourism should make optimal use of environmental resources that constitute a key element in tourism development, maintaining essential ecological processes and helping to conserve natural heritage and biodiversity; respect the sociocultural authenticity of host communities, conserve their built and living cultural heritage and traditional values, and contribute to intercultural understanding and tolerance; ensure viable, long-term economic operations, providing socioeconomic benefits to all stakeholders that are fairly distributed, including stable employment and income-earning opportunities and social services to host communities, and contributing to poverty alleviation. Threatened Species Umbrella term for any species categorized as Critically Endangered, Endangered or Vulnerable by the IUCN Red List of Threatened Species. Wastewater Wastewater is any water that has been adversely affected in quality by anthropogenic influence. Wastewater can originate from a combination of domestic, industrial, commercial or agricultural activities, surface runoff or stormwater, and from sewer inflow or infiltration. Water risk The probability and severity of an entity experiencing a deleterious water-related event. The Aqueduct Water Risk Atlas maps aggregated scores of 12 key water indicators in 15,000 watersheds around the world. Alternatively, WWF has a Water Risk Filter at http://waterriskfilter.panda.org/. Overall water risk identifies areas with higher exposure to water-related risks and is an aggregated measure of all selected indicators from the Physical Quantity, Quality and Regulatory and Reputational Risk categories. Water stewardship Water stewardship is about taking action to help ensure that water is managed sustainably as a shared, public resource. It can be defined as the use of water that is socially equitable, environmentally sustainable and economically beneficial, achieved through a stakeholder-inclusive process that involves site- and catchment-based actions. GSTC Criteria serve as the global baseline standards for sustainability in travel and tourism. The Criteria are used for education, policy-making for businesses and government agencies, measurement and evaluation, and as a basis for certification. They are the result of a worldwide effort to develop a common language about sustainability in tourism.